(NaturalNews) IMPORTANT UPDATE: Everything initially reported by Natural News in this story has now been confirmed as true. The Taiwan gay rights activist who organized this event has been arrested and had his assets seized. He is now under criminal investigation with charges expected soon. See the breaking update story Taiwan gay rights activist arrested, released on NT$1 million bail, banned from international travel, assets seized after death stemming from 'rainbow party' fireball that injured 500. EDITOR'S NOTE: Taiwan is not yet a society that has embraced people coming out of the closet. While in America, reporting on a group as being gay is considered routine and in no way offensive -- because being gay is openly accepted almost everywhere -- the designation of "gay" is still considered highly offensive in Taiwan, and even insulting in the minds of some. As a result, there has been extreme social pressure applied to the sources we originally cited in our story, and one of them related to the South China Morning Post (Nanzao) has already backed off its original online report which linked the rainbow party to a global gay rights celebration, altering their text and now disclaiming any such link ever existed. This claim stands at odds with the actual facts, of course, given that Zong Ji Lu, the organizer of the "Color Play" event (also called "rainbow party"), is a key founder of Gay Rights Taiwan (http://www.facebook.com/gayrightstw) and is listed on Pridewatch Taiwan (http://www.pridewatch.tw/people/yaowz) as a gay rights activist. Sadly, fatalities are beginning to occur among those who were severely burned in this unfortunate catastrophe. Culturally speaking, because of the current state of affairs in Taiwan where being gay is not yet as accepted as it is in North America, the families of those who have died do NOT want these victims in any way tied to a "gay" celebration. Natural News has been told that we should remove any reference to this event being gay in nature in order to protect the reputations of those who were victimized by the event. 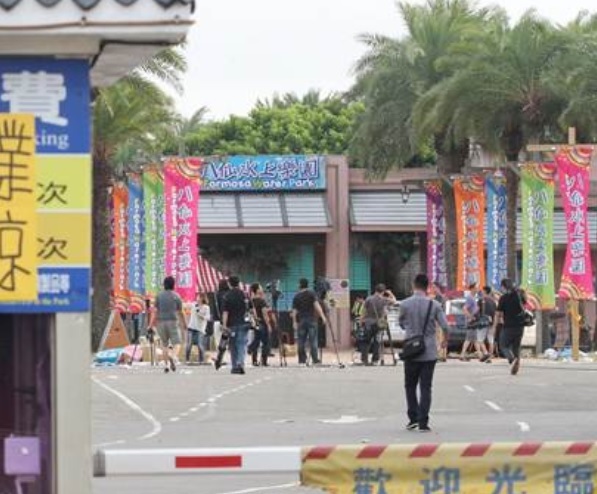 Although our original story was well documented and based on reports actually published in Asian press outlets, we want to be sensitive to the cultural context of Taiwan and the needs of the innocent victims and their families who have been harmed by the catastrophe that took place there. Although I would never authorize this for a similar story based in the United States, because gay liberty is not yet accepted in Taiwan, I have removed the term "gay pride" from the title of this story and the opening paragraph of this story while adding this explanatory note. It is sad to me that we still live in a world where gay people and those who write about them must remain "in the closet" out of a fear of discrimination. Perhaps I'm too progressive in thinking that I could write a story about a "rainbow" celebration without the "gayness" of the story becoming the focal point rather than the tragic events that took place. What I've learned in observing the reaction to this story is that being gay is still a status that attracts persecution in many countries, and that writing about anything being organized with gay sponsors and themes also attracts similar persecution. In America, I thought we were past all that, to the point where being gay, straight, transgender or bisexual isn't the focal point of any story anymore. We're all just people who "love different people" as the gay community correctly points out. Why does there have to be such extreme hatred tied to such discussions? It saddens me that as an editor who has openly supported individual gay liberties and the universal freedom to choose, I must now put this article back into the closet in order to adhere to the cultural awkwardness of our time. Now I'm beginning to experience a very small taste of what it might have been like to be gay in the 1980's in America, where a gay lifestyle was attacked and vilified, and no one dared talk about being gay. At least one person has now reportedly died from this tragic event, and our prayers go out to the family members for their loss. As I clearly stated in the original story, no person -- gay, straight, or otherwise -- deserves to be victimized by such a tragic event gone terribly wrong, and I continue to urge Taiwan public safety officials to assert their authority to do whatever is necessary to prevent such tragedies from occurring in the future. 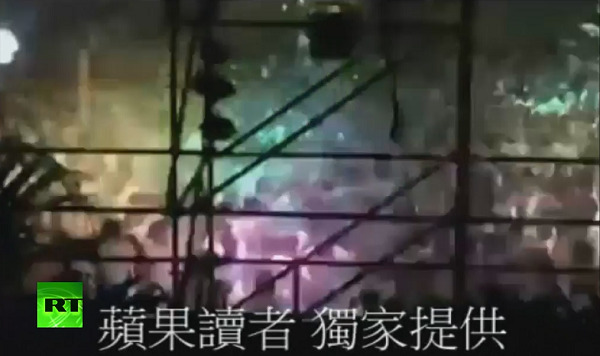 A youth party in Taiwan went horribly wrong last night as a special effect consisting of huge clouds of rainbow-colored glitter particles was launched into the air over the partygoers. To the shock and horror of everyone, the metallic glitter ignited, raining down a firestorm of death upon hundreds of attendees who were engulfed in flames. If you wish to donate to help support aid to the victims of this tragic event, here's the donation page of the Tzu Chi Foundation, whose Chinese language page describes what they're doing to help treat victims of this event, which they refer to as a "rainbow party." While the U.S. mainstream media is too ashamed to admit this event was a gay pride celebration, Asian media outlets have no problem pointing out the obvious. As this news link from Malaysia reports, "The U.S. government has just recognized gay marriage, and this allows gay people all around the world to see the coming promise, leading the large-scale celebrations. New Taipei City in Taiwan, Ba-Xian Water Park hosted a 'rainbow party' this past Saturday. 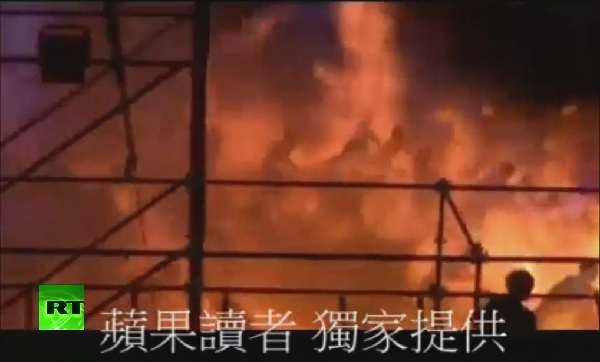 Unfortunately, there was a tragic event of a massive explosion, causing many people to be burned. It is currently estimated that at least 458 people are injured, and some of them have critical injuries." 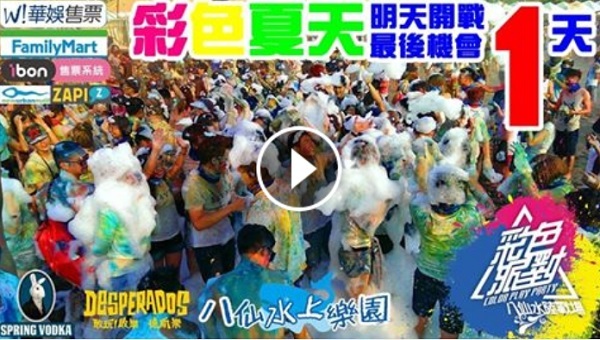 Similarly, the website Nanzao.com, covering Taiwan and Macau, reports, "The 'rainbow party' held in New Taipei City, is inspired by the decision of the U.S. Supreme Court of June 26th, which determined that gay marriage is legal in the 50 United States. Legalizing gay marriage was not only celebrated in the U.S., it also inspired gay and lesbians all around the world to celebrate." UPDATE: Under intense public pressure, Nanzao has now retroactively altered their original news report, claiming the rainbow party was NOT tied in any way to a gay pride celebration. UPDATE: Trolls and haters on social media are hilariously taking issue with the phrases "burned alive" and "Biblical-scale" used in the title of this story. The contrived outrage is absurd but also highly reflective of the very same kind of mob mentality we see ruling society these days. "Burned alive" means being burned while you are alive, which is precisely what this video shows and exactly what happened. 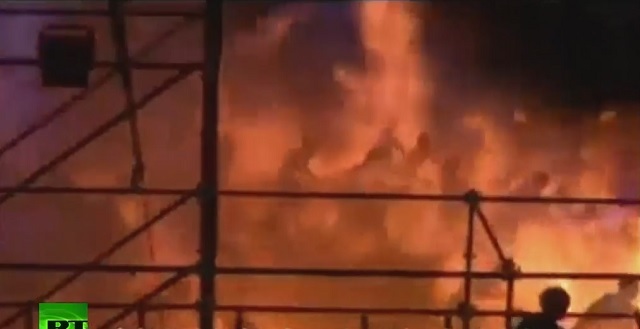 People were alive and being burned while running for safety. They were not burned DEAD, they were burned ALIVE as they tried to escape. If I wanted to report they were burned DEAD, I would have used the phrase, "Burned to DEATH." However, in order to avoid people misinterpreting the words, I have updated the title to change "burned alive" to "engulfed in flames." Hopefully, people will be able to understand what "engulfed in flames" means, or else I may have to turn this website into a dictionary. Secondly, the phrase "Biblical-scale" means "really, really big" which is precisely what we see in this video. Apparently, haters can't even stand the sight of the word "Biblical" when it's used as part of an adjective for a very large catastrophe in which innocent people were harmed. "Biblical-scale" is an adjective of size, nothing more. Case closed. • There is no common knowledge among Taiwan citizens -- who are almost all urban city dwellers -- that dispersed metallic particles can easily ignite in the air. Although this knowledge is very common in the Midwest of the USA, for example, where grain elevators must be on constant alert to prevent grain explosions, nobody in Taiwan seemed to have any knowledge that this could happen. 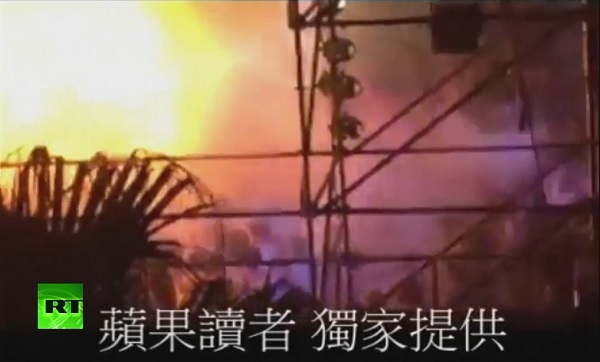 That clouds of metallic glitter particles could spontaneously ignite was a complete surprise to most Taiwanese, even after the event took place. • The event was planned as a celebration of gay marriage legalization around the world. It was not heavily promoted as a "gay pride" event because being openly gay is not widely accepted in Taiwan society (which is still culturally quite conservative as far as family values go). Instead, the event was promoted using the key word "rainbow," the universal global symbol associated with gay pride. • The very glitter that ignited and rained fire down upon the hundreds of youth attending the gay pride party was colored with the same hues as the rainbow. FACT: Many color pigment chemicals are made using metals which can ignite when dispersed into tiny particles and subjected to an ignition source. Magnesium shavings, for example, are a common ingredient in fire starting devices used by preppers. Personally, I find it astonishing that there are people in this world who still don't know metals can ignite and burn. • UPDATE: Not every person at the event was gay, of course. The event was promoted as a "color play / rainbow" event, which is universally associated with gay pride. Natural News is being told that some people attending the event were not aware of the connection between "rainbow" and "gay," although most youth in today's connected society are completely aware of this universal symbolism. It's abundantly clear that the Taiwan gay pride "rainbow" event was sponsored by gay advocacy organizations. This link, of course, is being vehemently denied in the mainstream media, which does not want to link gay pride events to a catastrophe that harmed hundreds of people. I'm still not sure why there's such a desperate effort to try to deny that this was a gay pride event when it clearly was. The facts are undeniable and irrefutable. Of course the event was a "gay pride" event. It was sponsored with the logo of a sperm, from a gay male apparel company. 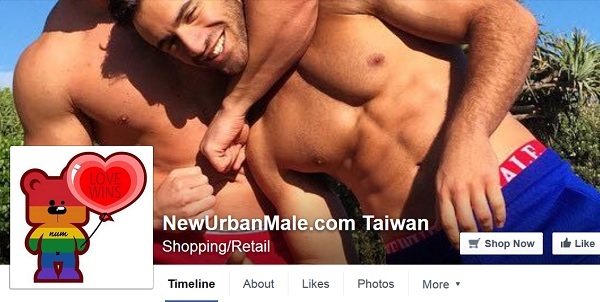 New Urban Male Taiwan, a key corporate sponsor of the event, features a Facebook page with a rainbow teddy bear and a "Love Wins" balloon, along with gay men in a headlock, wearing fashionable underwear. The "love wins" hashtag is what's being widely circulated in the aftermath of the U.S. Supreme Court decision to legalize gay marriage nationwide. ...and this poster proudly proclaiming how New Urban Male is the "official apparel for Manhunt International, 2012." More importantly, I also hope that Taiwan will recognize the need for far greater public safety regulations regarding staged events. For decades, Taiwan has lagged on commonsense public safety regulations that could have saved lives. 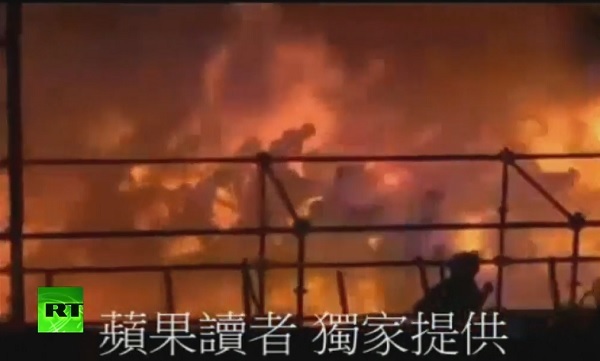 I remember that even when I lived in Taiwan, there were regular reports of school busses burning children alive because they couldn't find the exit, or entire restaurants full of people being killed in tragic fires because the exits were blocked. 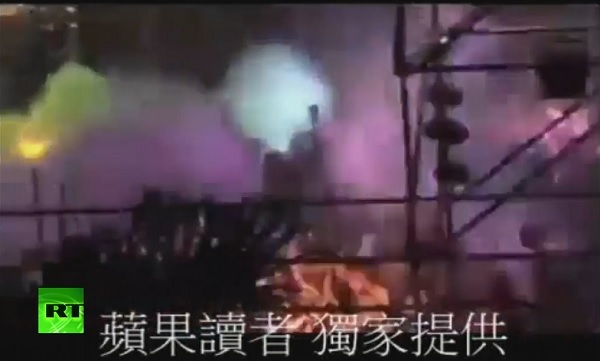 What Taiwan keeps learning over and over again, unfortunately, is that safety standards matter. And you probably shouldn't fill the air with tiny particles of magnesium and other combustible substances when there are ignition sources nearby. It's a sad day when anybody -- gay, straight or otherwise -- is horribly burned in such an ill-planned event, especially when the tragedy that took place should have been readily preventable. 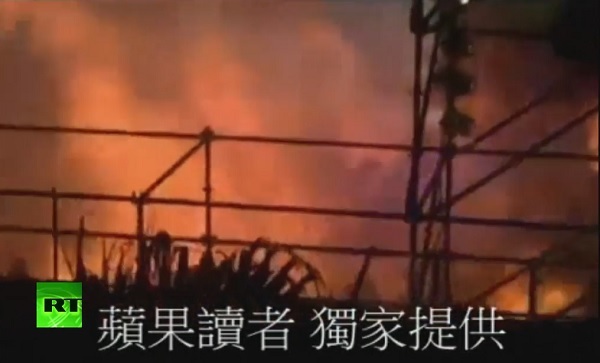 My heart goes out to all the victims of this horrible tragedy in Taiwan, and I can only hope that Taiwan's public safety regulators will now assert sufficient public safety guidelines to prevent such a catastrophe from happening again.